I am a Rye Poet. We are a triangle of poets. We live near Peckham Rye, which is one explanation for our name; the other is that our poetry can be wry. 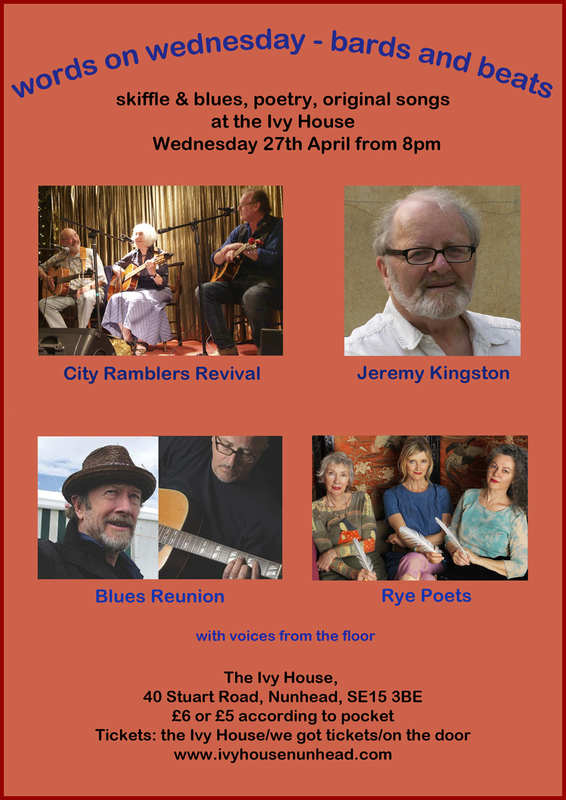 Tonight we will perform at the Ivy House, London’s first community pub. The pub was saved from demoliton a few years ago by achieving status as a community asset. That wasn’t the end of the story. The next move was to get the community to cough up the cash to put the business back on its tremulous feet. And it did. We did. Now the pub flourishes as a venue for all kinds of entertainment including evenings of poetry and blues. We’re in the pink! This entry was posted in Nunhead, Peckham, Photography, Pink, Poetry, Rye Lane, Rye Poets, Writing and tagged City Ramblers Revivial, Ivy House, Rye Poets. Bookmark the permalink.